When the patient checks in, the patient’s demographic and insurance information should be noted. Any information required in a claim situation should be noted at patient check-in. Patients should verify their insurance details and eligibility before every appointment because insurance information can change at any time. Changes in insurance information can also influence benefit and authorization information, so do not forget to double check. Accurate coding of diagnosis, procedures and modifiers is critical to inform the payer about what the patient is being treated for and the treatment given. Without correct codes and modifiers, the insurance payer cannot make a correct assessment of your claims. ‘Charge entry’ refers to entering the charges for services received by the patient. The charge entry includes the correct linkages between services and procedures to the correct medical codes. Completed claims are submitted to the payer. Your medical billers require information about the insurance payer. Although most insurance companies follow standard billing guidelines, some payers may have specific requirements. It is important to check with insurance payers whether you are accurately following their claim submission guidelines. This last step is about posting and deposit. 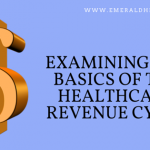 By this stage, amount billed to the patient will be zero, if it has been paid completely or it will reflect the amount owed by the patient, if paid partially. 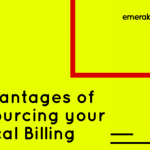 These six steps ensure that medical billing goes smoothly in your practice. If you find that your practice isn’t as prepared as you first thought, consult a professional medical billing and coding company to make the process more efficient and the cash flow smoother. To learn more about behavioral health and internal medicine billing services, call the leading medical billing specialist, Emerald Health at 855-650-9906 Today.